Even if you’re not a professional videographer, every once in a while, you come across a video that you want to create or edit – crop or trim a portion of a video, merge two videos or more into one, split a video, build a custom slideshow of your photos, along with background music, and much more. And though Macs ship with Apple’s own iMovie software, it has its own set of limitations. For instance, it doesn’t support AVI files, one of the most popular formats for saving and sharing videos. iMovie is also quite bulky, considering that it includes professional video editing features not everybody will use. 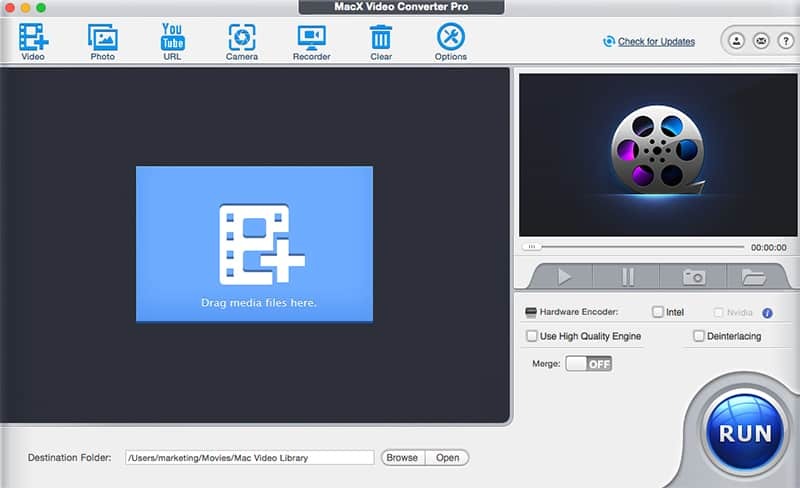 MacX Video Converter Pro is an all-in-one video utility that combines a video converter, editor, downloader and recorder. The software supports over 320 video codecs, and more than 50 audio codecs, enabling you to convert 4K UHD, HD and SD formats, including MKV, AVCHD, M2TS, MP4, AVI, WMV, MOV, VOB and many more. Powered by multi-core CPU support, hyper-threading, and Intel Quick Sync Video hardware acceleration, MacX Video Converter offers 5X faster conversion speeds, compared to other programs, and that too, without any quality loss. You can choose among 350+ different output presets optimized for different devices, including iPhone 7 / 7 Plus / SE / 6S / 6S Plus, iPad Pro, iPad Mini 4, iPad Air 2, iPod Touch, iPod, Apple TV, Samsung, HTC, Sony Xperia, Surface Pro 4, etc. Other tools included in MacX Video Converter include a video editor that allows you to trim, crop, add subtitle and watermark to videos, a photo slideshow maker that lets you create photo slideshows with custom background music, a video downloader that allows you to download videos from over 300 different websites, and a video recorder that lets you record your screen for demonstrations, or capture video feed from the built-in Mac webcam or external camera. MacX Video Converter is now officially available for $49.95. But, here at 7labs, we’re giving away 10 MacX Video Converter Licenses*. And, if you act on time, one of these 10 licenses could be yours for free. * – The Giveaway license supports all major features of the full version software, except for the free upgrade. Note: This Giveaway is applicable to Mac users only. Update: This Giveaway has now ended. Thanks for your interest. The winners have been contacted via email with the details of the Giveaway license.